Repeat after me: I love pricing! Yes it’s true. If you don’t already, you should fall in love with pricing because pricing is one of the great art+science of business. 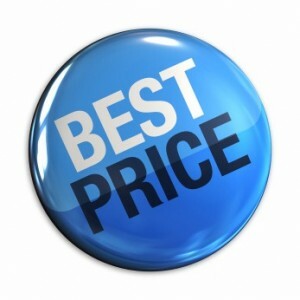 Get pricing right and you can work all kinds of magic in your business. Most startups pick a price out of a hat without a strategy or process. It’s not surprising since pricing is a relatively esoteric area even in the mainstream of marketing. The pricing literature tends to be dense and academic. Worse the advance techniques call of the expertise of PhD statisticians. But don’t lose hope. As an entrepreneur you can become good at pricing — at least a whole lot better than throwing darts at the wall. My goal here is to break it down into some more simple terms, and more importantly a framework with some tools you can apply to figure out your pricing. Other posts will go into depth. Value- Based – You price based on how the customer values your product or service. Cost-Plus – You price based on a markup on your costs. 1. Segmentation – To maximize market share, revenue and profitability you have to segment your market into sub-segments based on how much they value your product. 2. Value Analysis – In order to price properly, you need to have a deep understanding of how customers will value your product including reference prices and either a low-price or premium strategy. 3. Defining Price Fences & Editions – Most products benefit from having different prices based on segments, but in order to that you have to create “fences” that move each segment into the right product at the right price. With technical products this is usually done through features, but there are other mechanisms. 4. Defining Price Metrics – Price metrics answer the price per x question. In technology products you could price per user, CPU, GB, etc. 5. Defining Price Levels – When you put your analysis of value together with your price metrics and your editions you get your price points. 6. Checking On Costs – This approach is about pricing based on how your customer values the product, but as you go through the exercise, it’s important to also go back and double check against costs. Even if you’re selling software as a service which has low marginal costs for additional usage, you need to account for the cost of customer acquisition and support. 7. Everything Else – On top of the five core steps, there is generally a bunch of other detailed work such as discount curves for volume, regional pricing differences, pricing policies (e.g. how much room a sales rep has to negotiate), sales and market tools, etc. So that’s a quick outline. I know it’s not a lot to work with (I’m rushing this post out, because I have a goal to have one post in every category), but I plan to write more diving into these different topics and giving a bunch of real world examples. For more books on the topic, I’d suggest starting with: The Strategy and Tactics of Pricing: A Guide to Growing More Profitably by Thomas Nagle and John Hogan. Most of the credit for the framework above goes to them. Nobody wants to do pricing (well almost) – such a “black art”. Yet so many companies make it or break it on pricing and really on offer management in general. I know a friend who is in the pricing practice at McKinsey. He had some choices on where to specialized (he started in McKinsey) an went for pricing because nobody else wanted it. he figured he’d have a valuable skill few were in possession of. He was right, sort of. People are rarely knocking down his door but he has been steadily busy for years. So, one more thing to add- Value Analysis often means studying your target audience’s buying strategies. Many products & services are purchased in tandem with other products & services . The pricing and quantity of typical buys of those additional items can be considered in completing a value proposition for the target audience. You’d think that such considerations would filter in to your competitor’s prices but that supposes that your product is not differentiated in capability (it’s just a widget), and that your competition is correctly priced to control the space to begin with. In many cases such a study exposes an opportunity for differentiation (especially in services) or for a partnership. It may also expose a gap in the current menu of offerings in the space as well. Nobody pays enough attention to pricing. Value analysis is the most effective way to get an accurate price, but it’s utilized so infrequently that a ton of revenue is left on the table. I actually work for a startup that does value-based pricing analytics – check us out at http://www.priceintelligently.com.